In addition to pre-owned Rolex watches, the most famous of all the Swiss Watch Brands, we have also been known to stock some other great pre-owned luxury brand watches. This gives you, the customer, unparalleled access some of the finest second-hand quality watches available today. We have a pre-owned watch for everyone so why not take a look. Here is a little bit about each brand if they are new to you, though this list is not exhaustive. Founded in 1875 by two friends Jules-Edward Audemars and Edward-Auguste Piguet in Le Brassus, Switzerland. Specialising in complicated movements such as the first ever minute repeater. Audemars Piguet or AP as it is more commonly known as is most famous for a watch dating back to ‘only’1972. The Royal Oak was created as the definitive sports watch in steel, an octagonal shape with integrated bracelet and 8 visible hexagonal screws. Striking for the time but now an absolute classic. A Swiss watch brand with aeronautical ties. Founded in 1884 in Grenchen, Switzerland, Breitling is known to fit only certified chronometers in all of their watches. The Navitimer which is a large chronograph with a circular slide rule as part of the bezel. Those which are of use to aircraft pilots. Second is the Emergency, which is a watch for emergencies, that transmits a distress beacon once activated and hopefully leading to a rescue! One of the oldest surviving watch-making companies in the world, founded in 1775 by Abraham-Louis Breguet. A pioneer in many technologies linked with watch-making such as the tourbillon and escapement. Most notable isn’t a particular piece but rather the finishing techniques and horological inventions by Breguet himself. A luxury Italian jewellery firm which has its own Swiss subsidiary that is responsible for all watch production. 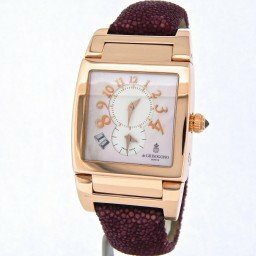 Genuine Bulgari watches have a unique serial number that is registered with the company. Bulgari jewelry design is distinctive and often imitated. In the 1970s, many of the more expensive Bulgari pieces (such as necklaces, bracelets and earrings) were characterized by instantly recognizable, bold, architectural designs combining large and weighty gold links with interlocking steel. Bulgari is also famous for colored stones, especially sapphires mixed in unique formats. Luxury jeweller and watch designer, producer and retailer, originally founded in 1847 by Louis – Francois Cartier. 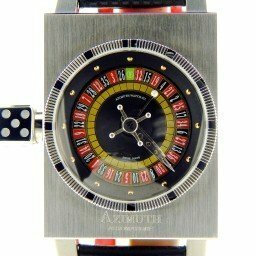 Created its first wristwatch for men, the Cartier Santos at the behest of an aviator by the name of Alberto Santos-Dumont. Distinctly square case with a square bezel, this was very much liked by Santos-Dumont as well as many customers. Known for classic styling and beautiful finishing Cartier are a really big player in the watch market. 1860 was the year that Louis-Ulysse Chopard founded LUC manufacturing company in Sonvilier, Switzerland. Specialising in watch manufacture for pocket watches and also chronometers. Chopard offers some classic timepieces as well as bejewelled varieties for the ladies. 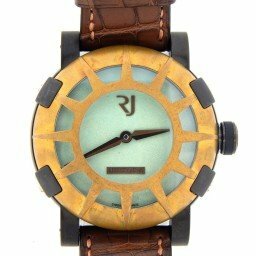 They have a large accessories line that complements the watch business, reflecting a complete lifestyle approach. 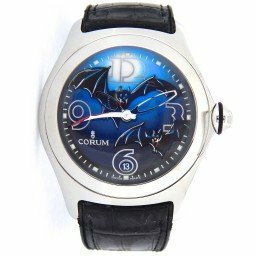 Corum was founded in La Chaux-de-Fonds, Switzerland in 1955, so is a relatively young watch brand. Known for the Corum Golden Bridge collection is unique in the watchmaking world. Its four sapphire sides offer an unrestricted view of the intricately detailed linear movement, which appears to be floating in mid-air, held only by the gold bridge that names this watch. The Corum Golden Bridge is offered in 18k gold or platinum, and is also available with delicate diamond work. Is in fact two separate watchmaking companies merged into what it is today. One was founded by Jean-Francoise Bautte in 1791 and the other 1852 by Constant Girard. In 1906 the son of Constant Girard and Marie Perregaux took over the Bautte House and merged it with Girard Perregaux. Known mainly for their classic dress watches, in 2013 they broke the mould with the GPHG Gold Winning Constant Escapement LM. An innovative piece that uses a completely new breed of power regulation to ensure optimum efficiency. Founded in 1892 in Lancaster, Pennysylvania. 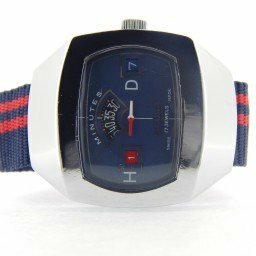 In 1957 they produced the first ever ‘electric watch’ but definitely most famous for the asymmetric Ventura watch with its’ triangular shaped case. Worn famously by Elvis Presley and in more recent years, featured in the Men In Black films. Predominantly a jewelry business Harry Winston is famous for its diamond setting and cutting. With this in mind their high jewellery watches are the most spectacular with every facet glistening and catching the light. Officine Panerai designs, manufactures, markets and sells watches through authorized dealers and company-owned boutiques worldwide, Giovanni Panerai (1825–1897) founded Officine Panerai in Florence, Italy in 186h3. Known for the work done with the Italian navy and the Radiomir and Luminor case types. One of the most popular models is probably the PAM249 California. All are rugged with big bold styling and features special innovations like the crown lever. A real favourite among collectors. The most prestigious watch brand in the world that specialises in some of the most complicated mechanical watches. The original company was founded in 1839, and subsequently Patek Philippe wasfounded in 1851. 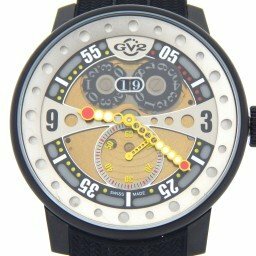 One of the few companies that manufactures its own watch components. Most well-known timepieces has to be the Henry graves Supercomplication which was made in 1933 for Henry Graves, it features 24 different functions. It recently sold in 2014 at auction for $24 million. You may have seen it on the news. The Sister brand to Rolex, has a slightly lower reputation. Tudor has always been there to complement what Rolex could not do which was to produce quality products at a slightly lower price point without damaging the Rolex brand. Tudor has some similarities in terms of design and features, but the big difference here is that Rolex uses their own in-house designed and manufactured movements whereas Tudor buy in movements to fit into their watches. The company was founded in 1755 by Jean-Marc Vacheron, an independent watchmaker in Geneva, Switzerland. Known as one of the Big Three alongside Patek Philippe and Audemars Piguet. Known for their Patrimony line of elegant dress watches, the finishing and overall aesthetic is top class.